A fish painting I did today. Spent some time hunting down a frame too and this one is pretty close but I need to trim a bit of the mounting board to make the fish fit in. Am pretty pleased with the way this one turned out too! 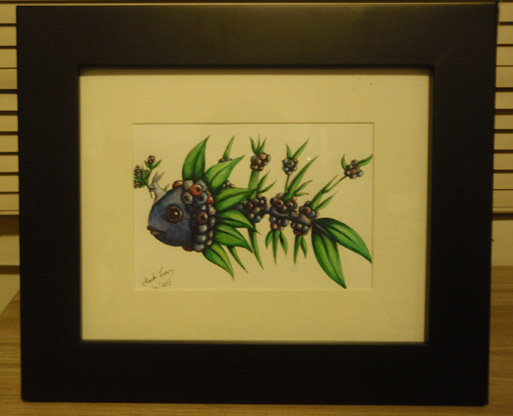 Now which berry fish to do next...? I really enjoy painting. Would be nice to have more time to do it. I just needed to do something for me these last few days as it's been about 2 months since I painted anything decent!